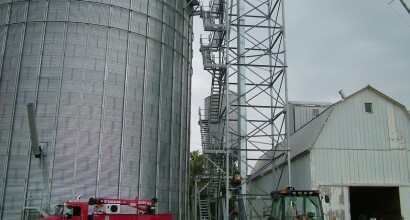 Commercial grain bin systems built by Starkey Construction LLC., bring you only the highest quality grain storage products at the most competitive prices. We have always used the best products in the industry. 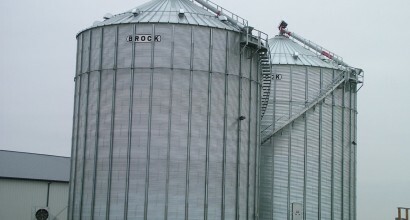 For over 40 years, we have been building grain storage bins, and we are proud to offer our customers Brock Commercial Grain Bins. 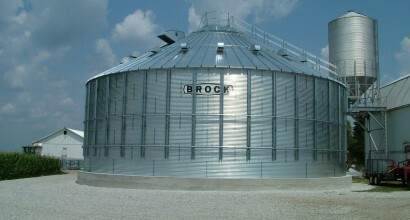 Brock’s decades of storage design and manufacturing experience helps to make Brock’s commercial grain storage products Different by Design™! Because of that experience, BROCK® Commercial Grain Storage Bins offer commercial users the best built-in value over the life of the product. More models and choices so you can get the bin you need. 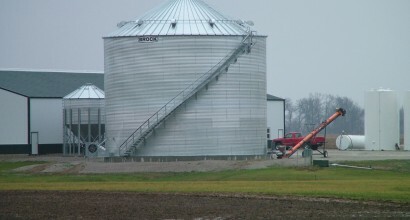 Single bin capacities range up to 730,000 bushels (24,250 m3). More innovative, user-friendly features to help you maintain and protect your valuable stored grain. Top quality performance and classic product durability and ease of use closely associated with the BROCK® name. Design does matter! Brock’s industry-leading five-year warranty program on commercial grain bins – we believe we have the best warranty in the industry! See Brock’s full written warranty for complete warranty details. A growing line of products designed to help save labor and money. Service . from planning to installation . and beyond. Flat-bottom storage bin diameters range from 15 to 105 feet (4.6 to 32 meters) with single bin capacities of up to 730,000 bushels (24,250 cubic meters). Models available with narrow-corrugation (2.66-in./68-mm) and with wide-corrugation (4-in./102-mm) sidewall designs. Brock’s all-galvanized steel sidewall stiffener is one of the strongest available. Top quality prime steel sidewall body sheets are 8 through 20 gauge galvanized steel with a minimum tensile strength of up to 65,000 psi (448 Mpa). On taller models, Brock uses two sidewall panels laminated together for greater strength. Sidewalls are assembled using Brock’s high-strength Grade 8.2 bin seal bolts with special JS-500™ coating to provide superior weather-resistance. Optional Grade 8.2 polypropylene-encapsulated-head bolts provide enhanced corrosion resistance. 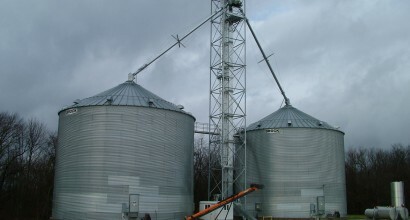 The unique Brock FULL SWEEP® Bin Anchoring System is standard on all Brock Commercial bins 72 feet (22 m) in diameter and larger for solid anchoring of large bins for single-pass sweep operation.